There’s been a lot of buzz in the food world about Proposition 37, a proposed legislation in California that would require the labeling of all genetically engineered foods. While food advocates have been adamantly pushing its enactment, major food companies like PepsiCo have put forth millions of dollars against the cause. Do they have a chance? Despite claims that genetically engineered foods are safe for human consumption, an overwhelming amount of research suggests the opposite. 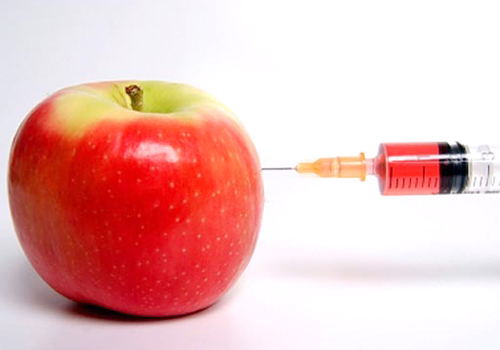 The American Academy of Environmental Medicine (AAEM) has linked genetically modified food to infertility, immune problems, faulty insulin regulation, and changes in major organs and the gastrointestinal system. The European government required the labeling of GM products after Dr Arpad Pusztai, a UK scientist originally hired to create a safety procedure for GM foods, announced the dangers of GM foods. And if the health hazards don’t convince you, several environmental concerns surround these products—cross contamination of GM crops with natural growing crops threatens altering entire ecosystems and the use of these products has already proven deadly to animals in surrounding areas. The amount of support growing towards the movement is immense. Recent polls predict the law’s passing, and you can’t go to a single organic newspaper or food blog without hearing about the push for labeling. However, the food industry has money and power on its side, and has already spent nearly $10 million against the campaign. With that money will come some excellent lawyers, along with some serious local advertising against the campaign. In the United States, one case has been cited as working against Proposition 37: International Dairy Foods Association v. L. Amestoy C. In that case, a Vermont statute required dairy manufacturers to label milk products made using the growth hormone rBST. The 2nd circuit court concluded that the law was unconstitutional under the 1st amendment, as it compelled food companies to choose speech instead of silence. If voters enact Proposition 37 in California, lawyers working for the food industry will surely use this case to strike down Proposition 37 in court. Fortunately, International Dairy only serves as persuasive (not binding) authority, which means that California is not bound to follow that same logic. But since this type of case is unprecedented in California, lawyers for the campaign will have the task of showing why Proposition 37 is unlike the Vermont statute, or alternatively, why it would go against the interest of the California courts to follow Vermont’s logic. The big push in the organic world is to boycott. 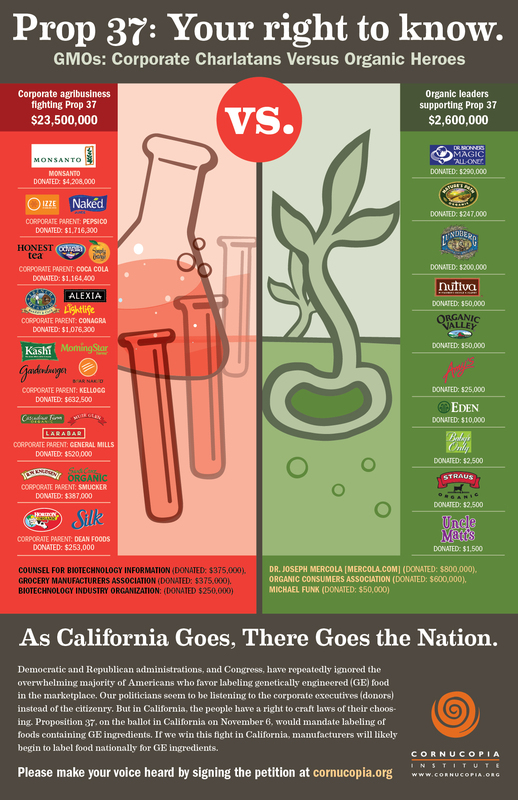 While I am all for boycotting products that are donating against against Proposition 37, it seems that the people of California will vote for this law. A greater concern, in my opinion, is what will happen after (and if) the law passes–once everyone stops paying attention, and once PepsiCo and Monsanto bring a lawsuit against the state of California. 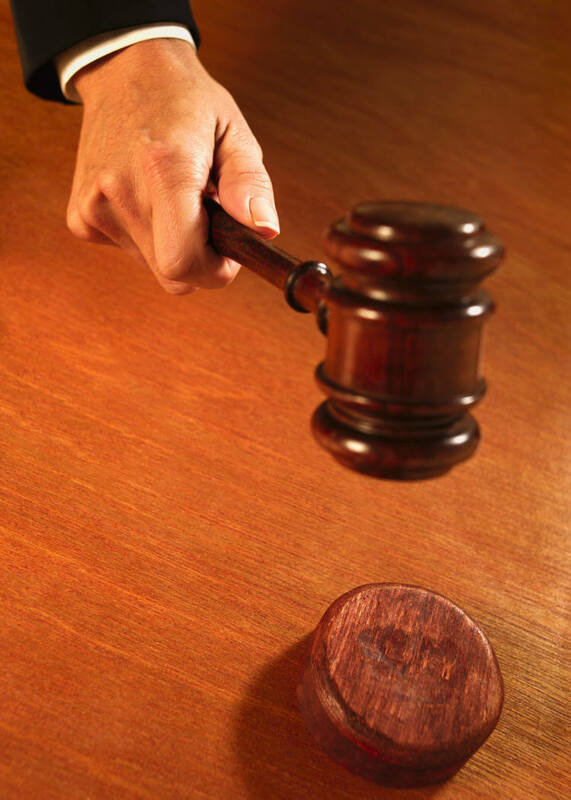 Although precedent is not in our favor, a loud buzz created up until the day of the trial may be able to influence the court’s decision when deciding whether or not to uphold Proposition 37. Public politicization of courtroom decisions can have a profound effect on judgments made in court–just look at Brown v. Board and Planned Parenthood v. Casey (which upheld parts of Roe v. Wade). So create that political fervor surrounding labeling organic foods by tweeting and writing to California judges and legislators, staying vocal through social media outlets, and volunteering your time to get the word out. And if you’re part of an official organization, business, or political group, endorse the campaign online. In the meantime, keep yourself informed on the campaign and its developments.